I can’t start by day without a cup of coffee, there I said it, I think I have kind of an addiction to coffee. If I don’t have my daily cup of coffee the chances that I’ll be in a really bad mood for the rest of the day are huge. 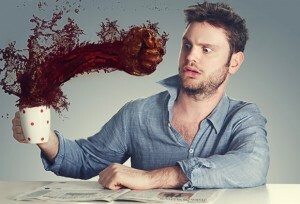 I drink so much coffee that I started asking myself whether coffee was healthy for me or not. Researchers say that drink in coffee could be healthy and that it could prevent Type 2 Diabetes. Based on over 15 studies, the relationship between Type 2 diabetes and coffee is reliable. Frank Hu, MD, MPH, PhD, nutrition and epidemiology professor at the Harvard School of Public Health, reviewed 9 studies, which showed the relationship between Type 2 diabetes and coffee drinkers. People that drank coffee were in between 28% and 35% of less risk of getting type 2 diabetes. We see a strong correlation in this, it doesn’t mean that drinking coffee causes you not to have type 2 diabetes. It could also be due to chance, since there were’t many studies and they were not that big, there could be a huge possibility that is due to chance. What about the coffee makes it healthy? 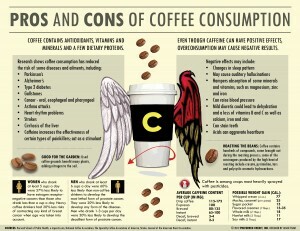 Is not just the coffee, is the nutrients that the coffee contains. 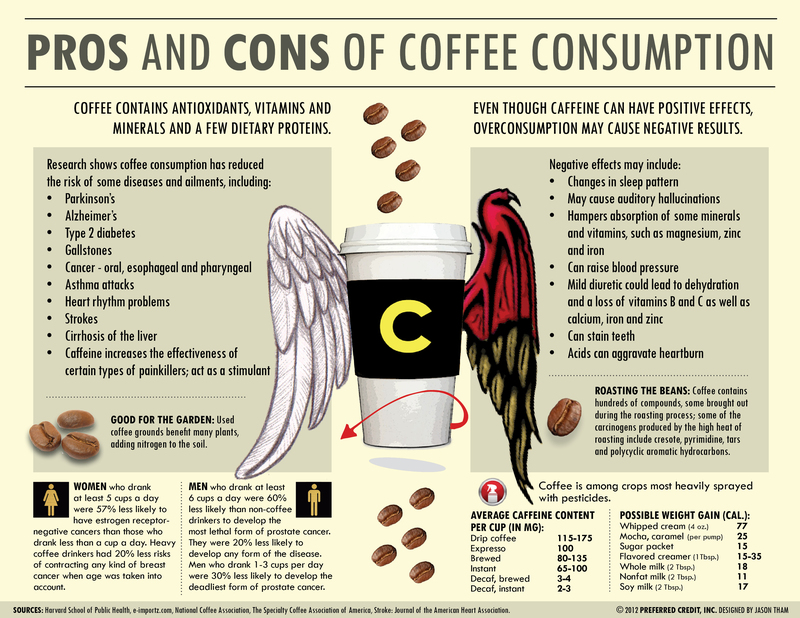 Despite the caffeine controversy, that disrupts your sleep, coffee overall is good, maybe not in excess, but is pretty good. Something that I learn throughout the blogs and the class is that everything in excess is bad, even water. Some college students drink coffee to stay awake during the night because they have to study. I would recommend trying other stuff to stay awake, because you might get addicted to coffee and then that would be really bad for you health. 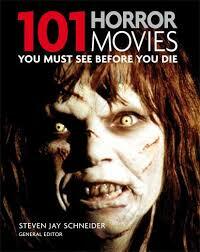 Even to the point that you might not be able to fall asleep during the night. Does music affect our mood? Probably most of us here love music and we listen to different types of music. I’m the kind of person that listens to music depending on my mood. Also, music changes my mood and I started to wandered why. Why does music have such a great impact in our mood? According to some studies, when we listen to music the heart starts synching with the rhythm. Also, with the tone, when you listen to a “major key” it makes you cheerful and when you listen to a “low key” it makes you not cheerful. There has been a couple of studies that has prove this. First a study in the University of Missouri, said that listening to music can change your mood in just two days. Also, in two other studies by Yuna Ferguson it proved the same. Here’s a 2 minute video that explains better how music affects your brain. I found kind of a reverse causation in this, because you could also listen to music depending in how you feel. If you feel happy you’ll probably listen to upbeat music, but if you are sad you are going to find yourself listing to Taylor Swift old songs for the entire day. Maybe its true and music does has an effect on you, but we could also pick the music depending on how we feel. It could also be by chance, you are listening to music, you feel sad, and after that on the radio a random sad song comes on. For me, I listen to music all of the time. I select the type of music depending on how am I feeling or my mood. But, if I’m happy and suddenly a couple of sand songs come to the radio, I start thinking about sad things or simply the songs bring me bad memories about stuff that had happened in the past. 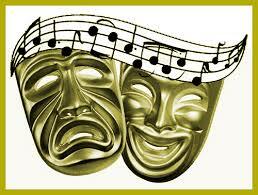 According to the studies showed above, music in fact, does affect your mood. This entry was posted in Uncategorized on October 20, 2014 by Natalie Soltero. 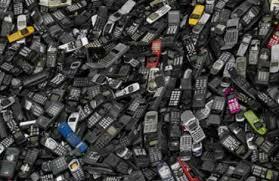 Are cellphones ruining us or is the way we use them, that is ruining us? Unexpectedly my phone died this past week and I wasn’t able to get a new one until a few days ago. I had to go around campus and New York City without my phone. I realized that cellphones are destroying our ways of communicating with others. If you decide to leave your phone at you dorm for one day, you are going to know what I’m talking about. With my phone, I don’t feel the need to talk to other while waiting for class to start or I don’t feel the need to look at how beautiful is Penn State’s campus, or maybe I’m too busy taking a picture to share rather that seeing the whole picture. My point is that in this not-plan-at-all experiment, I realized that cell phones are destroying our ways of communicating with others. After that I realized that maybe technology is not the problem, the problem is that we are using technology way too much and for not so important things. I have three roommates; of course all four of us have cellphones and we’re constantly using them, even when we go and get dinner, instead of talking and actually looking at each other we are using our freaking phones. But, one day my roommate said that since I didn’t have a phone that she was going to leave hers at the dorm and I could say that, that night all of us had a really conversation and we actually looked at each other instead of looking at our phones. Also, on my trip to NYC, I actually found myself talking to different people because I didn’t have a phone and I made a couple of colleagues. While walking around NYC everyone was taking pictures and I was just staring at how beautiful NYC is, every detail of the city, every detail of every building. I was looking at the whole picture. I was researching on the Internet people that had been through the same and I found a guy who did it on purpose, you could find his story here. Also there’s a website that it’s a really good one, is about a study called “24 hours: Unplugged” . This study gives you an inside of what is it like to give up your phone for 24 hours, it gives you a perspective of different student and how they work with it. My conclusion for this is that probably cellphones per se aren’t ruining the way we communicate with other, but a third variable like the way we use them and the way we let them take over our lives is. Cellphones are great for a lot of things, but instead of texting someone to catch up, try to text them to meet up and then that way you can catch up. Have 5 minutes? Look Up. If you watched the video, can you see how cellphones are changing us? If you didn’t, you probably should, its going to give you a new perspective. Just 5 minutes. This entry was posted in Uncategorized on October 19, 2014 by Natalie Soltero. 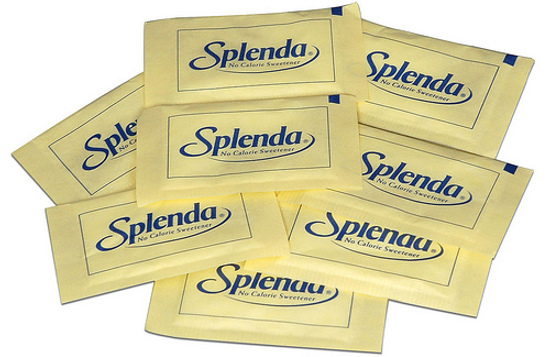 Is Splenda good for hypoglycemics? I have hypoglycemia, which is a condition that occurs when your blood sugar is too low. When they first told me that I had it, the first thing I asked was if I could have any type sugary food or drink, they said no and told me to avoid sugary things. I asked whether or not I had to change the sugar I use in my coffee, my doctor sadly said that instead of sugar I should try sweeteners and that’s what brings me to this, is sweetener bad or good for hypoglycemics? The first thing here is that most of these studies have been done in animals and scientist doesn’t know whether they are going to have the same effect on humans. Supposedly, sweeteners are better for diabetic and hypoglycemic people because is just a sweetener and its not going to affect your blood sugar, but while looking for more information about this, I found out that its not true. According to a Huffington Post, the intake of sweetener could affect your body’s insulin response. They made a new study in which they picked 17 severely obese and which did’t consume sweetener products regularly. The tests consist of “drinking a sugary solution before undergoing blood sugar measurements in order to see how well the body responds to sugar. Researchers found that consuming the sweetener associated with higher blood sugar peaks and 20% higher insulin levels. They say that this study is not enough and that they need to do more studies in order to find out whether or not this is true. I think they need to do more studies in people with diabetes, hypoglycemia, and people without this conditions to see if it is certain. Doing a randomized trial, would be good because that way they could see how it works with different people, of different ages, etc. I do have to say that based on my experience when I started using Splenda my blood sugar levels stabilized, for what I know it didn’t have a bad effect on me or in any other of my friends with the same condition. I’ll probably still going to use it after reading the information because, regular sugar or anything with sugar is horrible for me. This entry was posted in Uncategorized on October 15, 2014 by Natalie Soltero. A lot of people say that drinking water is healthy and that made me asked myself if like everything else the excess of water could be harmful. 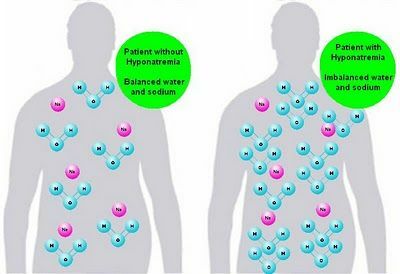 It turns out that its possible, water in excess could be harmful, it could lead you to some degree of hyponatremia, or dilution of the blood caused by drinking to much water. Severe cases of hyponatremia could lead you to water intoxication, “an illness whose symptoms include headache, fatigue, nausea, vomiting, frequent urination, and mental disorientation. People have actually died because of water intoxication. Based on some observational studies, people have died because of water intoxication. A case in 2005, in a fraternity hazing, a 21-year-man died because he was asked to drink an excessive amount of water between rounds of push-ups in a cold basement. There could be many factors that could’ve caused his death, so we also have to take a look at the third variables we have like, he was drinking the water between rounds of push-ups and also that it was a cold basement and we don’t exactly know how cold the basement was. Other possible variables that researchers should have in mind is the possible health issues that the person may have had. 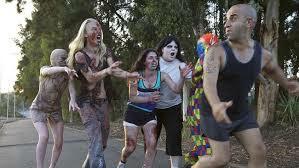 Also, there have been other observational studies, in the New England Journal of Medicine found that close to 1/6 of runner develops hyponatremia, that is because this people are expose to drinking to much water. We have to have in mind that runners need to be hydrated and that their bodies need much more water than the body of a normal person. Researchers could search for a way that runners could stay hydrated and at the same time not getting hynonatremia. I think there’s not other possible study that they could do to test this, because they cannot try giving water to a person to see if it dies, that would be unethical. So, the only way to study this is by observational studies, to see how different people react to the amount of water they intake. 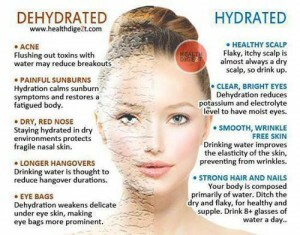 What they could do is maybe see how much water the body needs for different types of activities, that way people would know how much water they can drink without getting dehydrated or intoxicated by water. Like with everything else we have to be careful on the amount of water we take. Water is one of the most, if not the most, healthy drink in the world, but it has to be in moderation. If you drink too much you can get the hyponatremia, if you don’t drink enough it can lead you to dehydratation . Chemotherapy, will it save you or kill you? Chemotherapy is one of the most used methods to “cure cancer” but what many people doesn’t know is that chemotherapy can kill a person prematurely. Scientist and researchers were conducting a study seeking to explain why cancer cells are so resilient in the body when they are so easy to kill inside the lab. Unexpectedly, the found that in this kind of therapy, that kills both healthy cells and cancerous cell, healthy cells release a protein called WNT16B that sustains tumor growth and resistance to further treatment. “The WNT16B, would interact with tumor cells and cause them to grow, invade, and importantly, resist subsequent therapy.” Peter Nelson, the Freud Hutchison Cancer Research Center. They also explain how the protein would spread and the tumors would take it and this would cause them to grow. Avoid sugar an processed foods. Red meat is good, but you should limit the amour of red meat you take. I know I sad earlier that alcohol was beneficial to prevent heart disease, but is bad for cancer. Maybe nor now, but if you ever have a child breastfeeding can limit you rick of having great cancer. This entry was posted in Uncategorized on September 18, 2014 by Natalie Soltero. Daydreaming is it good or bad? Have you ever been in class or walking and suddenly you are in this different place in you mind? I know I have, and its called daydreaming. Have you ever wondered why do we day dream? When we daydream the default mode network increases the activity in the brain when we are focus on the external world. Daydreaming can occur at times of frustration, stress, anxiety, or boredom. 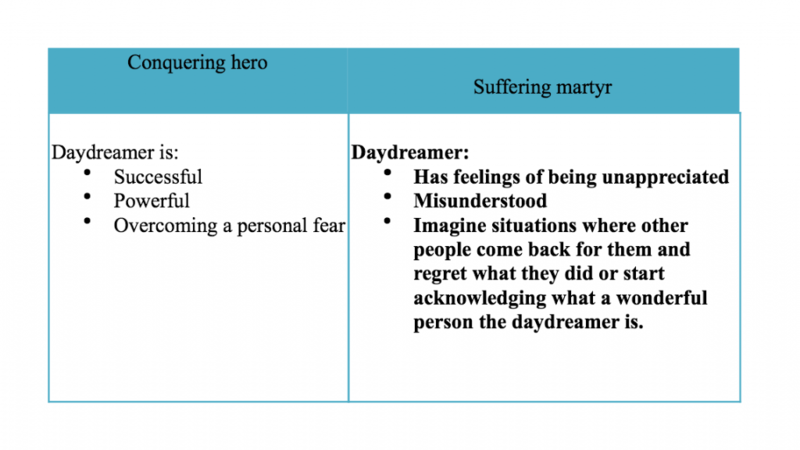 But daydreaming also has a dark side. It can affect your mood, meaning that you could be less happy when you daydreaming because you are dreaming of stuff you really want them to happen but they might never happened. It can also distract you from the stuff you really have to do, example if you are writing a blog and suddenly you mind goes to another world, you are going to lose you focus and that is going to affect the work you are doing and how much time you spend doing it. Men- more frequency but lower life satisfaction. Women- vividness but no frequency was related to lower satisfaction. Tune out your default network when you need to focus- if you feel that you inner thoughts are distracting you, ignore them that way you are turning them off. If your dreams are bothering you, change them- the good thing about daydreaming is that you can change it, daydream about beautiful things. Use your daydreams to help, not hurt, your memory- try to stick with things that might happen now instead of going really far. Don’t stifle your creativity, but don’t let it interfere with what you need to know- you still have to pay attention to what’s happening around you. This entry was posted in Uncategorized on September 15, 2014 by Natalie Soltero. We all know the bad effects of alcohol, everyone has been teaching us how bad alcohol is and that we shouldn’t drink, but why don’t they tell us that alcohol is actually good for you heart? I don’t mean that if you have a broken heart you should go out and drink everything in your way. I mean that alcohol is beneficial to prevent heart diseases and many other diseases. Let’s start by saying that you need to drink moderately, persons who drink moderately have better health that those who are heavy drinkers or abstainers. Here’s a video that explain why alcohol is good for preventing heart diseases. Alcohol also is good for other diseases which I’m not going to mention because I want to focus on heart disease, but if you want to know them here you go, alcohol consumptions and its benefits in diseases. I’ve mentioned that moderate drinking can reduce cardiovascular diseases, buy why drinking? I know that most people think that having a good diet, exercising, and loosing weight is helpful for cardiovascular diseases, but so does alcohol, and actually alcohol is found to be more effective than any other lifestyle change. 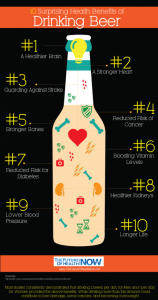 Do you want to know the 5 ways alcohol is actually beneficial to you? 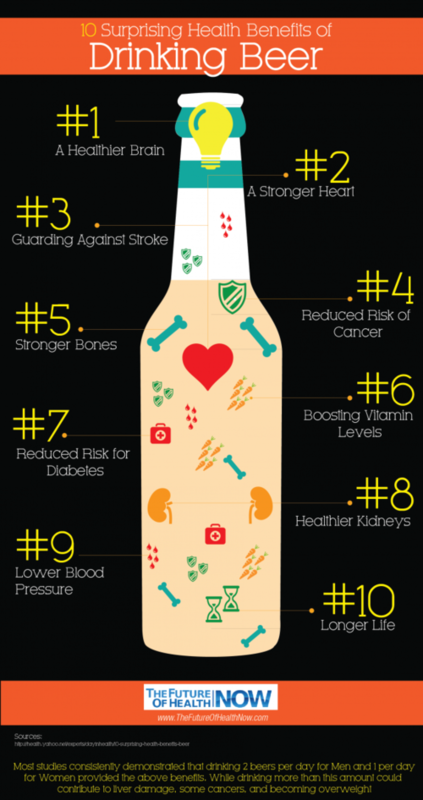 It can lower your risk of cardiovascular disease, like I’ve mentioned before, only if you drink moderately. It can lengthen your life, drinking occasionally and during meals can add a some years to your life. Helps you prevent a cold, this is actually possible, from personal experience (where I’m from legal drinking age is 18) I was sick and I drank a glass of wine and I felt better the other day, weird huh? 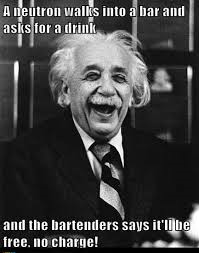 It can decreased changes of developing dementia, “Small amount of alcohol might, in effect, make brain cells more fit. Alcohol in moderate amounts stresses cells and thus toughens them up to cope with majors stresses down the road that could cause dementia.” Edward J. Neafsey, Ph.D., co-author of the study, as reported by Science Daily. Lowers the chance of diabetes, its say that people who drink one to two glasses of alcohol a day are less likely to have type 1 diabetes. ***Blondell, R. et al. 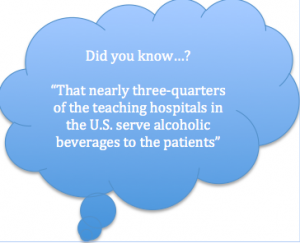 Ethanol in formularies of U.S. teaching hospitals. Journal of the American Medical Association 2002, 289, 552. This entry was posted in Uncategorized on September 11, 2014 by Natalie Soltero. Water & weight loss, can you lose weight by drinking water? I once heard my mom say that drinking water made you lose weight, I never asked her exactly why was that, but today I remembered and decided to look it up. 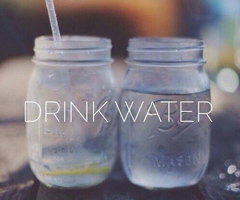 Effectively drinking water can help you lose weight. Water helps you boost your metabolism, clean your body from waste, and can mislead you appetite. The question here is, does water really helps you lose weight? If people drink the right amount of water it might help them lose weight. 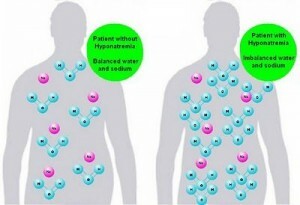 Some experts like Brooke Alpert, R.D., founder of B Nutritions and Keri Peterson, M.D., a physician at Lenox Hill Hospital in New York City and a medical advisor for Women’s Health say that “water doesn’t directly affect weight loss, but that water consumption is directly correlated with weight loss.” Also a lot of people confused being thirsty with being hungry so instead of drinking water they eat, which causes them to gain weight. If you ever get hungry try first drinking water and if after that you still hungry, then go please yourself and eat something, healthy of course. Fist check if you are drinking enough water- OK, this may seem weird, but its true… If you want to make sure you’re drinking enough water, check you toilet ofter using the bathroom, the darker your urine is the more water you need to drink. 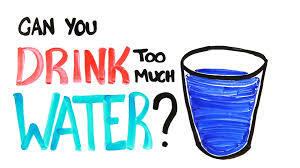 Drink water before you eat- before each meal drink a glass of water, this will help you feel fuller and you’ll eat less. Replace unhealthy drinks like soda and juice with water- Instead of drinking soda and all of those calorie-filled drinks, try drinking water. If you think that water doesn’t have taste, add a lemon, its actually healthy. I’m not saying that you have to change all of you drinks for water, you can pleased yourself once in a while. Drink ice cold water- I know that winter’s coming and probably you won’t want to drink ice cold water because its going to be ice cold outside, but if you have the chance to do it, do it! This will help boost you metabolism. This entry was posted in Uncategorized on September 9, 2014 by Natalie Soltero. Can chocolate make you happy? “We want chocolate in time of stress, anxiety, pain, and so on. Chocolate is a natural analgesic or pain killer.” Adam Drewnowski of the University of Michigan. Some people eat chocolate as a form of self-medication for depression or may simply be comfort food. 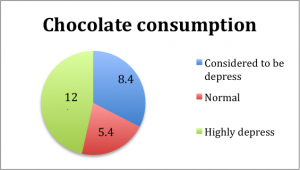 The more depressed you are the more chocolate you eat. It’s not certain, it may or it may not be true, but what I know is that sometimes when I eat chocolate, I feel more happy, maybe it is because of the sugar rush, maybe it is because its true that chocolate makes you happy. 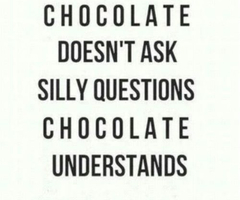 Or maybe happiness is “getting what you want, when you want it” and of course if you want chocolate and then you eat some chocolate, you’re going to be happy because you got it. 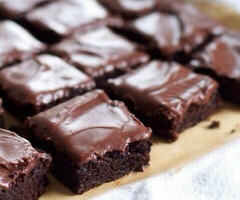 Chocolate contains substances that might mimic the effects of marijuana. Some pharmacies have happy pills made out of chocolate. It may not be proven but if eating chocolate makes you happy, like it makes me happy, you might as well just eat it.